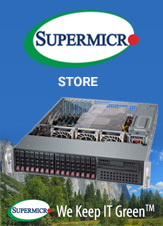 Supermicro's new generation A+ solutions supporting AMD EPYC enable a new range of powerful and energy-efficient server options to radically lower data center TCO through an optimised balance of compute, memory, I/O, and storage resources. 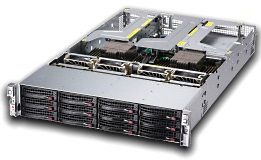 The newest line of AMD EPYC SuperServers reaches new standards in performance per watt and per pound spent. 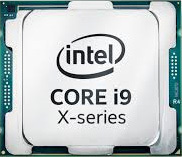 The range features amazing core density and dominant memory bandwidth. 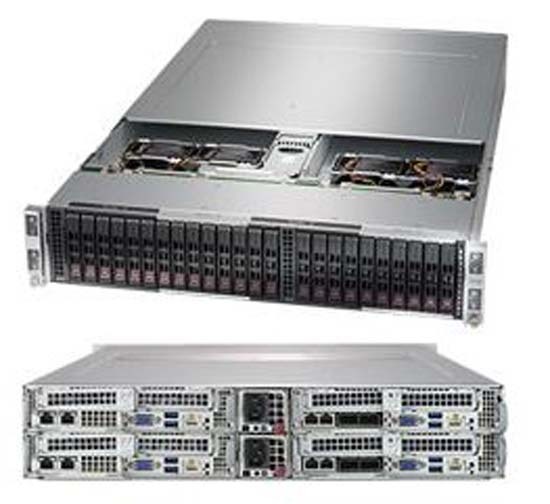 Possessing rare I/O capacity and up to 64 cores/128 threads, the AMD EPYC powered Supermicro SuperServers are some of the most powerful and efficient on the market. 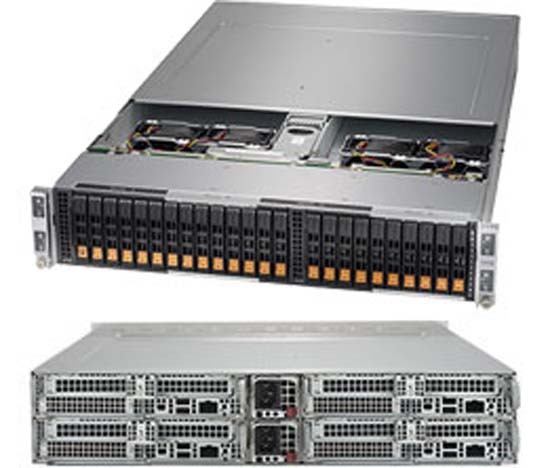 With up to 64 cores/128 threads, your server can be configured with up to 4TB DDR4 memory. Drivebays are hot-swappable, and you can choose to configure with either NVMe, SAS or SATA drive bays. The system comes with redundant titanium level power supplies, to keep your server up should the original power supplies ever fail, giving you that extra bit of safeguarding. The AMD EPYC processor utilises a system-on-chip architecture. An integrated circuit that that has all its components and circuitry on a single chip. By merging together many components onto a single chip, this architecture saves a lot of physical space, as well as a lot of energy. We configure with this architecture because it is efficient and saves you a lot of money on energy bills long term. 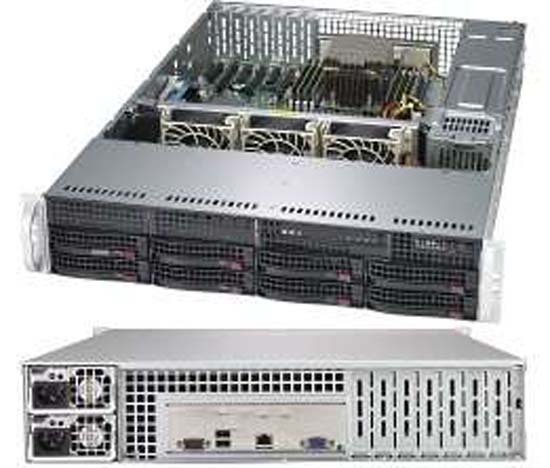 With the option to configure from a number of different form factors, the AMD EPYC Supermicro SuperServers are also perfect for use of front-end server applications and supercomputer clusters. 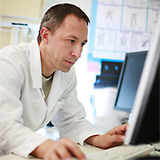 We configure your server to perfectly fit your business and your requirements. Each system is configured to be unique and perfectly adaptable to your needs. 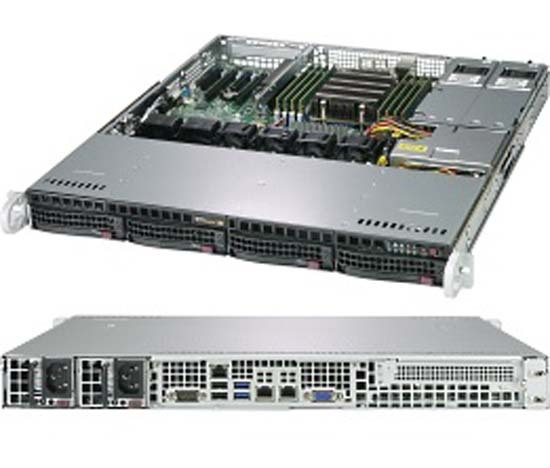 The AMD EPYC powered Supermicro SuperServer system is built from scratch with low power components. It also uses a System on a chip processor (SoC), which contributes to the systems low energy usage. As mentioned earlier, this range of systems have the potential to severely reduce your data centre costs. The TCO of the solution itself is lower than many of the alternatives on the market, due to its energy efficient nature. With an ideal balancing of storage resources, memory and I/O, this solution has been configured from the very beginning to be as efficient as possible. The processor has the adaptability to constant change its frequency as the activities being undertaken by the server change. With this it keeps within the thermal limits. With the density of the system, especially with the smaller form factors, it takes up much less space than alternatives with similar capabilities. This saves you a lot of space and money in the long term. With hot-swappable drive bays, the amount downtime you may face is greatly reduced. Its reduced further by the redundant power supplies that can kick in to give you a boost in times of need. This system will need little maintenance from you in the long term, sparing you time and effort that you can spend doing more important things. The AMD EPYC processor is the earliest of its kind (a dedicated security processor) to be embedded within an x86 architecture. 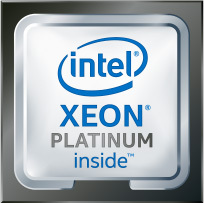 It possesses the highest core count found in a x86 architecture. Its adaptable nature to keep its performance consistent, matching its core count to the applications requirements. 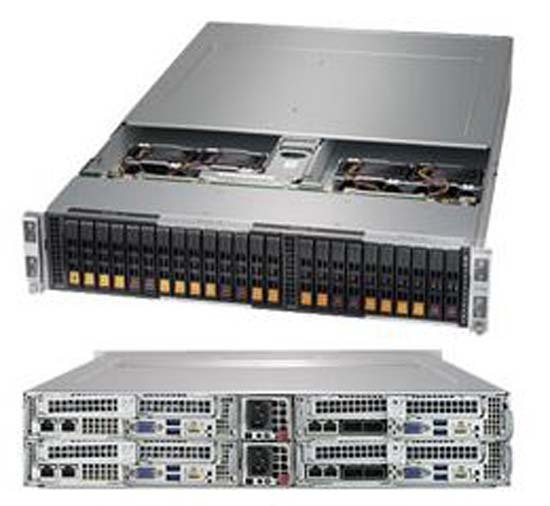 This processor is ideal for situations involving heavy workloads. We place a high level of importance on the security of our servers. 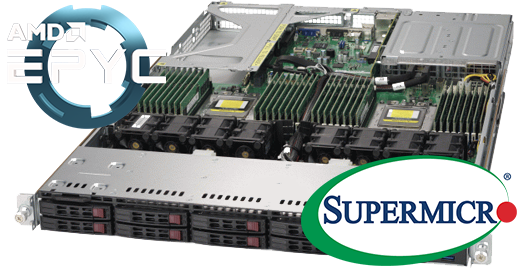 This range of Supermicro SuperServers are powered by a dedicated security processor range, AMD EPYC. It manages the memory encryption and the secure boot process.